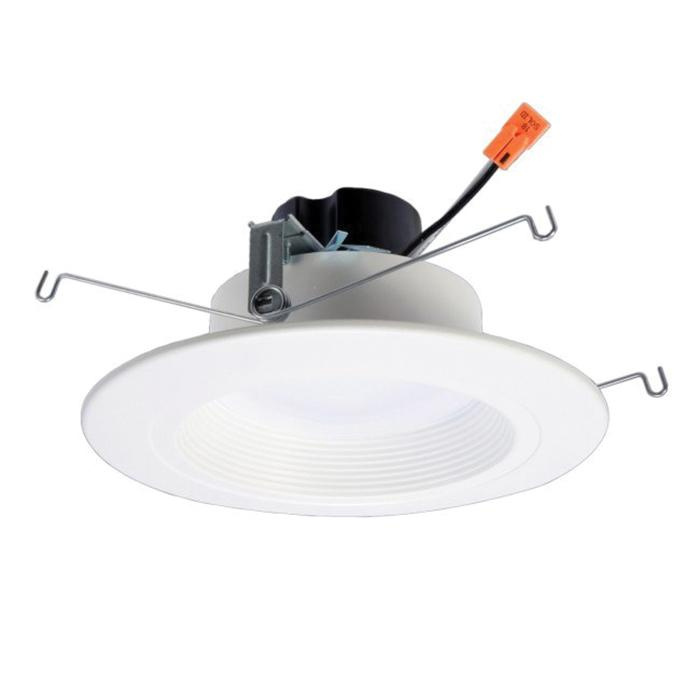 Halo RL56-900 Series 5/6-Inch Round LED retrofit baffle trim in matte white finish, has 13.5-Watt 80 CRI 1100-Lumens 4000K LED lamp that has voltage rating of 120-Volts and current rating of 0.15-Amp. It measures 7.25-Inch OD x 3.43-Inch. Dimmable trim withstands ambient temperature range of 25 to 40 deg C. It is ideal for use with Halo 5-Inch and 6-Inch LED housings. LED retrofit baffle trim is UL/cUL listed, FCC/Energy Star certified and RoHS compliant.